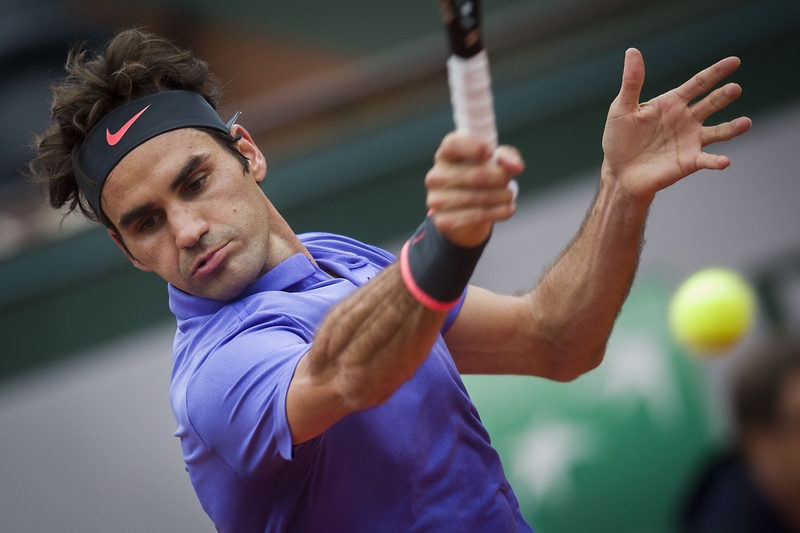 Roger Federer of Switzerland hits a return to Gael Monfils of France during the men's singles fourth round match at 2015 French Open tennis tournament in Paris, France, May 31, 2015. Roland Garros organizers revealed an 8% increase on prize money to more than 42 million euros this year on Thursday. Overall prize money for the 2019 edition of Roland Garros, to run from May 26 to June 9, will reach 42,661,000 euros, with men's and women's singles winners each bagging 2.3 million euros, an increase of 100,000 euros than the previous year. The French Tennis Federation President Bernard Giudicelli and the tournament director Guy Forget want to continue narrowing the gap between the amounts awarded to the winners and players knocked out in the first round. The first-round losers will be offered a 15% increase to 46,000 euros. The players beaten in the first week of the tournament will see a significant increase in their prize money, with an average of over 10% from the first round to round of 16. A special effort has also been made for the qualifying rounds, whose prize money has risen by an average of nearly 15%.